1 . The first name of Madina-tul-Munawwarah was "Yasrab". Its' climate was not healthy. It was called the city of diseases and problems. Its' water had bitter taste. Viral diseases were very common here. No one liked to live here but The Last Prophet Muhammad sallalla ho allihi wasalam chose this city to live after leaving Makkah. 2 . 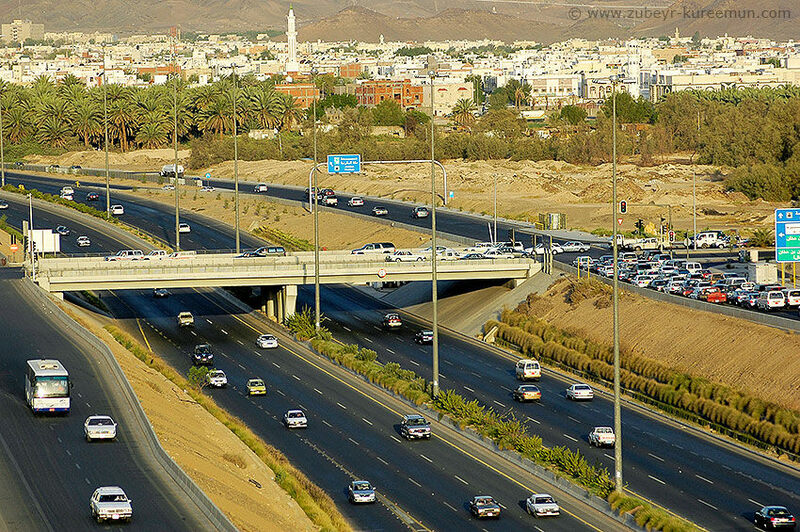 After the arrival of Prophet Muhammad sallalla ho allihi wasalam this city became the city of pleasant weather and healthy atmosphere. Its' surrounding became peaceful and The Prophet sallalla ho allihi wasalam changed its' name from "Yasrab" to "Tayyaba" or "Munawwarah". Prophet sallalla ho allihi wasalam ordered not to say this city "Yasrab" in future. If any body says it "Yasrab" by mistake, he must say "US-TUGH-FUR-ULLAH" (Almighty Allah may Apologize me) three times and must say "Madina-tul-Munawwarah" ten times. 3 . 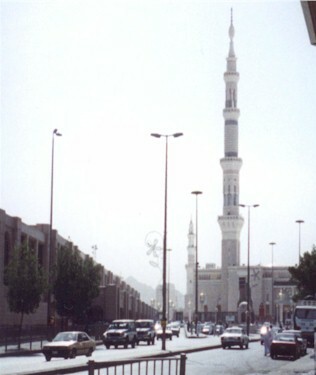 In Arabic "MADINA" means "CITY". Its full name is "Madina-tul-Munawwarah" which means, The City of Lights. It is also called "Madina-e-Tayyaba" which means "The City of Purity". Reward two times more to Madina's People". On one occasion Prophet Muhammad said that He sallalla ho allihi wasalam said that he had chosen "Madina" as his home (HARAM) same as Syedna Ibrahim (AH) had chosen Makkah for his Haram. 5 . Once Prophet sallalla ho allihi wasalam said that the man whose heart has"EMAN" (Trust / Belief), he would come here like a snake which runs towards its hole. On one occasion Prophet Muhammad sallalla ho allihi wasalam said, one who keeps patience over the difficulties and hardships during his stay in "Madina", He sallalla ho allihi wasalam will responsible to spare him from his sins on the Day of Judgement. 7 . "Madina-tul-Munawwara" has an International Airport. It is not very near to "Masjid-e-Nabvi", however, taxies and busses are available to carry passengers to Haram 24 Hrs. 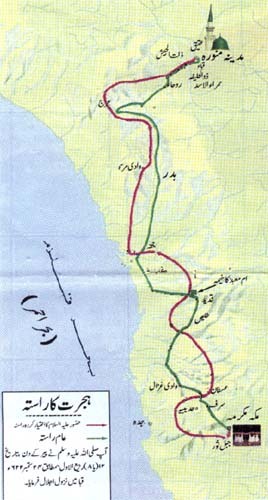 Holy Madina is not only connected to all the big cities of Saudi Arabia by road but also with the other cities of the world such as U.A.E, Yemen, Behrain, Iran, Turkey, Syria, etc. The main bus terminal (MOQAF) is very near to "Masjid-e-Nabvi" where from the busses of Saudi Arabian Bus Transport Corporation (SABTCO) are available after every hour for pilgrims for rest of the cities of Saudi Arabia and other countries. Some private buses are also available near Haram. A number of hotels and motels and rooms are easily available for pilgrims stay. pilgrims must bargain before hiring rooms of hotels. Numberof public call offices and booths are available surrounding Msjid-e-nabvi which provides pilgrims call facilities all over the world 24 hours. AL-MADINA. 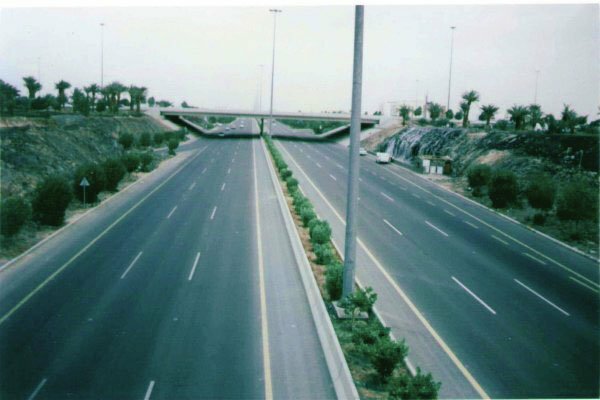 Four hundred kilometers from Makkah is another most holiest city of Islam Madina Al-Munnawara (City of Lights), a six lane express way Trique Al-Hijra (Hijra Way), this highway is constructed exactly over the route by which Muslim migrate from Makkah to Madina 1400 years ago,this highway links Makkah and Madina. 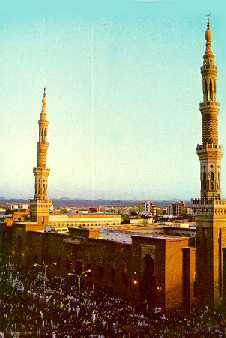 Madina has the mosque of Prophet "Masjid Al-Nabvi". This mosque covers an area of one hundred thirty five thousand square meter. It has seven main gates and 81 other small gates, 10 minarets, new minarets are of 99 meters height. Its roof can also be used for prayer. It has 27 domes which can be moved by motors in just two minutes. Mosque is fully air-conditioned and its unique air-conditioning plant is seven kilometer from mosque at an area of 70,000 square meter and is considered one of the largest in the world. The electric Umbrellas, designed by a muslim German Engineer, are fitted over open areas of Mosque where roof can't be constructed these umbrellas can be open and closed as desired by electric motors. The umbrellas, air-conditioning, domes and lights all are controlled by computer.